I'm on WooCommerce Version 2.6.4 and trying to figure out how to set shipping to individual project. We have products come with different weights and sizes. So we want to have different different shipping cost applied to each of them. For instance: Product A costs £10 and its shipping is £5. Then this apply to all products. But I have other products, eg Product B, costs £20, shipping costs £7. Then how can I do that with that flat rate above? 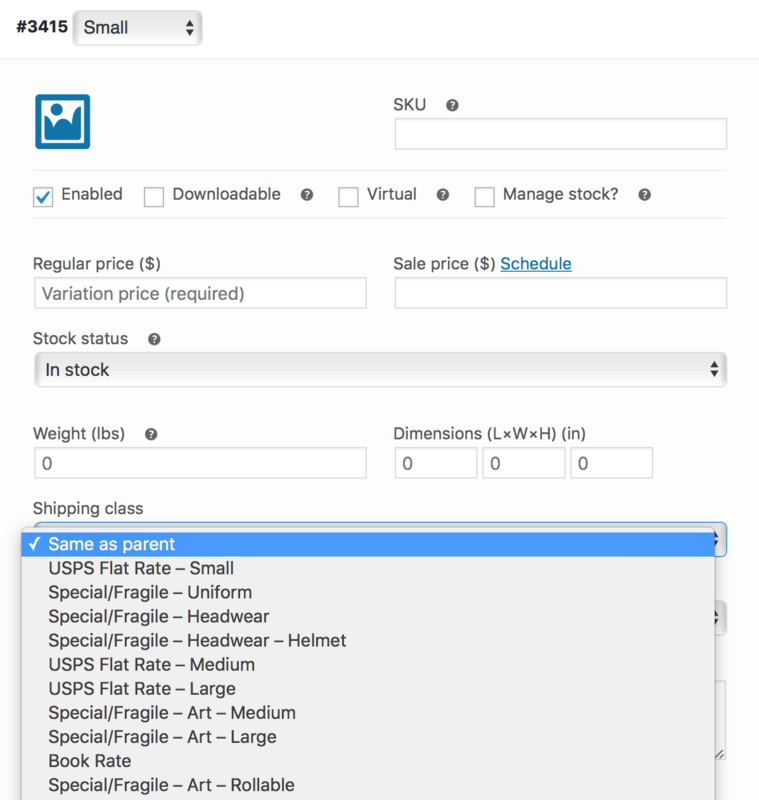 Create shipping classes for each of your product variations which require one. On your product page, add the attributes for the product, then add the variations, based on the added attributes. Once loaded, you may select the individual product variations to modify price, size, weight, inventory, and shipping class for each specific product variation. Set product to Variable Product. Select the variation you'd like to modify the shipping for and adjust shipping. Multiple shipping classes on one product in WooCommerce?